Once you have mastered the art of pruning Weigela you will wonder why you have not been growing this prolific spring flowering plant for longer. Seen as a bit of an old fashioned plant, we would rather consider that has stood the test of time and earned its place in the garden. With new varieties made available for sale over recent years, including lower growing types these are a versatile landscaping plant. 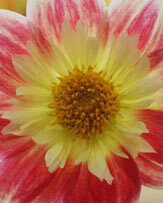 The major flowering period is spring, however spot flowers right through summer are an added bonus. If pruned properly Weigela is a low maintenance and rewarding plant for the mixed border. A deciduous shrub much loved for the wonderful display of flowers, as well as sort of 'graceful' growing habit, Weigela comes in a number of species and even more variety with the cultivars affers for sale. The appeal is simply the masses of flowers in spring on this small to medium bush shrub, along with an arching habit that adds a bit of character to the landscape. Sometimes seen as 'old fashioned' and other times as a 'backbone' plant that every garden should have, beauty may be in the eye of the beholder, however in spring, when in full flower Weigela are a beautiful plant. Deciduous with simple ovate foliage these are a plant grown for the flowers rather than the foliage and make an excellent addition to garden border, easy care with a little pruning to keep them in shape. 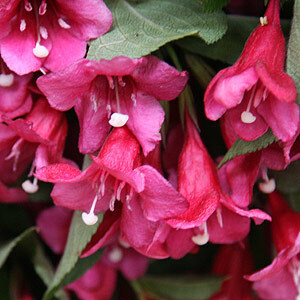 Weigela flowers range from white through to deep red and appear in masses in spring to summer. 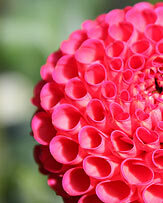 Bristol Ruby is a good example of a red flowering variety. It is only recently that dwarf Weigela varieties have been available, and these include some wonderful variegated cultivars. These lower growing types will reach 1m often less with a similar spread. Excellent for containers and smaller spaces. 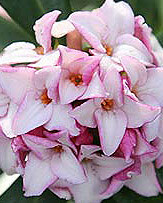 Look for Weigela florida 'Verweig' (My Monet), ducky pink flowers green foliage margined with creamy white. 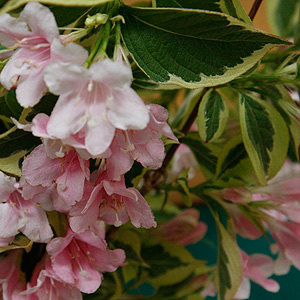 Weigela florida variegata is a favourite, soft pink flowers and foliage that is softened to match with creamy yellow leaf margins. A good arching habit. 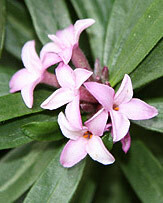 Weigela florida 'foliis purpurea' has deeper pink to red flowers, purple foliage. Weigela florida 'Wine and Roses' is one of the more attractive cultivars, pink flowers and a good burgundy foliage. Weigela florida 'Bristol Ruby' has a more upright habit than most, good red flowers. Weigela florida 'versicolor' is showy, with flowers that are cream, pink and red, green foliage to contrast. Not our cup of tea, however very popular. Full sun is a must fo r best flowering, and depending on variety, Weigela can reach to 3m in height with a similar spread. The smaller growing or dwarf varieties take up much less space. So choose an appropriate position in the garden. A humus rich but well drained soil is essential. Prepare the soil by digging in some well rotted compost. Plant and water in with some liquid seaweed fertiliser. In windy areas stake young plants to prevent rocking, this helps with root establishment. Mulch around plants to maintain a cool root run and retain moisture. Ongoing care includes fertiliser applied in early spring and replenishment of the mulch at the same time. This is the part that has made Weigela seem old fashioned. They have been subject to 'hacking' rather than 'pruning', and have often lost that wonderful arching habit that appeals so much. They need to be pruned to regenerate, rather than pruned for shape. And this need to be done after flowering. Best pruned back just after flowering, look for a good strong pair of buds and prune back as required. 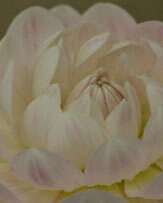 You do need to prune fairly hard, back below the old spent flowers. It is also advisable to continually regenerate older shrubs by cutting back 1/3 of the older canes every year or two right to ground level. After pruning use a good slow release fertilizer and water it in well. Mulch around the plant and it will bounce back with strong new growth which will be the foundation for next years flowers.